Animated explainer videos are typically a cost-effective, and always powerful, option to break up the monotony of every day visual content, and a graphic way to simplify convoluted topics. 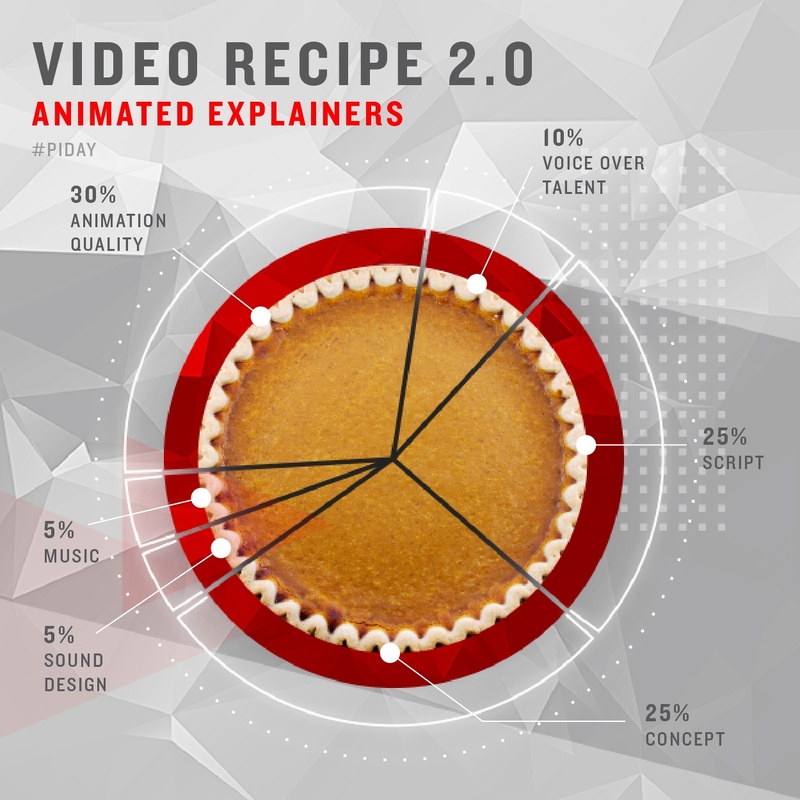 But what is the recipe for a successful animated explainer video? We're taking the opportunity with some of these silly National Days to share some of our favorite recipes for successful video content. And this month, we celebrate Pi Day - with a pie chart (get it?) - depicting the recipe for a successful animated explainer. Check out the full-size graphic, here. And as video content experts, we've written a blog or two about the importance of including animated explainers in your content strategy. Check them out!